Problems With Your Garage Door Opener? Try These Tips Before Calling Us! Your garage door is a bastion of convenience for a wide range of activities. From packing for a fishing trip to bringing in the groceries, the average American is reported to open their garage almost 1,500 times a year! When something goes wrong, you can be left out in the dark. If you are searching frantically for garage door opener repairs in Florida because your door has failed to open, a number of simple reasons could be to blame. Today, we’ll highlight the top reasons why your system may fail to operate. If you’re in need of professional help, the Guaranteed Garage Repair team is here to provide garage door opener services to Sebastian, Jupiter, Stuart, and along the coastline. Our garage door company is proud to provide services that are “better than best!” We work hard to deliver the highest level of care and guarantee the results of our work. Once you find that your garage door opener is failing to work, it’s important to check a few vital components. If these tips do not solve your issue, be sure to reach out to our garage door contractors for expert assistance! No matter how well you maintain your overhead door system, it relies on power for operation. Simply put, if your garage door fails to open, it could be due to a lack of batteries. If your clicker lights up when you depress the button, chances are that an issue lies within the garage door opener itself. If there is power on the inside but not within the vehicle, congratulations — new batteries should fix everything! If the door fails to open from the inside, the source likely stems from the power supply. Power outages, for example, can happen at nearly anytime in Florida, disrupting many homeowners trying to gain entry into their garages. If your garage has power but the door does not power on, be sure to call our garage door company for assistance! Many homeowners have had the experience of their garage door openers failing to properly communicate for convenient use. Oftentimes, this problem can be due to a weak transmitter signal. If you are out of range with your remote, the garage door will not budge! Another common occurrence stems from similar model uses amongst neighbors. Homeowners in high-density areas are more likely to come across transmission interference, with their door either not opening at all or coming to life once your neighbor hits their button. Keep in mind that most models have numerous frequency configurations to avoid this scenario. If you are unsure, consult the owner’s manual before proceeding. As always, our garage door experts are here and ready to help! 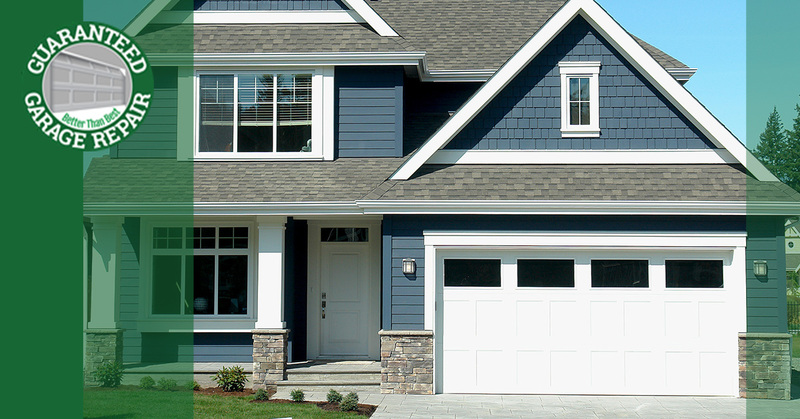 Modern garage doors rely on complex components to ensure the highest level of safety. While these mechanisms serve useful roles, minor damages or movements can disrupt the effectiveness of your overhead door! Every roll-up system is required to have two eye sensors that serve to reverse your garage door’s direction if a person or thing is found to be under the path of your door. These “photo eyes” are sensitive, relying on clear lines of sight to one another for the best results. If one of your sensors becomes dirty, sporadic actions may occur. Another common problem comes from bumping one of the eyes, ruining their alignment. Be sure to inspect your sensors, tracks, and pulleys if your garage door opener fails to start! One problem that can initially cause great confusion occurs when your roll-up door is disconnected from its chain. Oftentimes, this emergency switch is in convenient proximity for children, unaware adults, or any other number of issues. If you hear your garage door motor run a full sequence without moving the door at all, this is likely the problem! No matter what the problem is, you can breathe easy knowing that Guaranteed Garage Repair is here to help. We specialize in repairs and installations of garage door openers in Sebastian and the surrounding areas. If you’re dealing with an opener that is inconsistent or not working at all, be sure to contact us today for guaranteed service!